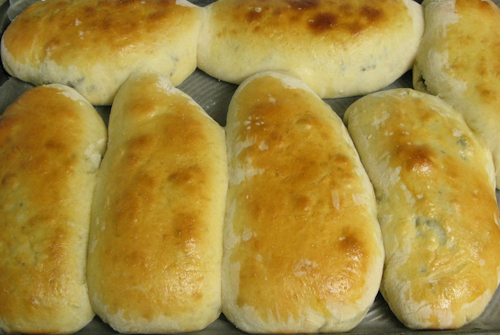 Pirozhki are a favorite Russian (and Eastern European) dish, often sold as fast food, but made at home as well. The stuffing can vary; meat, veggies, hard-boiled eggs, potatoes, cabbage, and fruit are common. 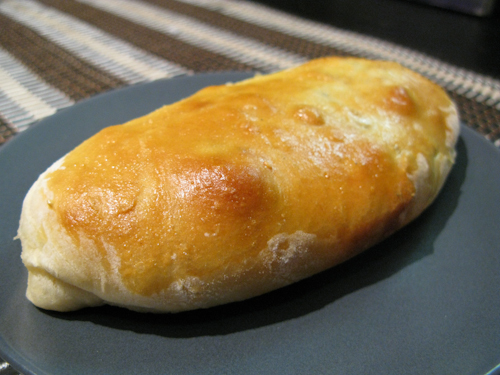 A particular variant of pirozhki dough is made without yeast and fried in a pan (much quicker), but this version (my Aunt’s recipe) is my favorite and definitely worth the extra time. 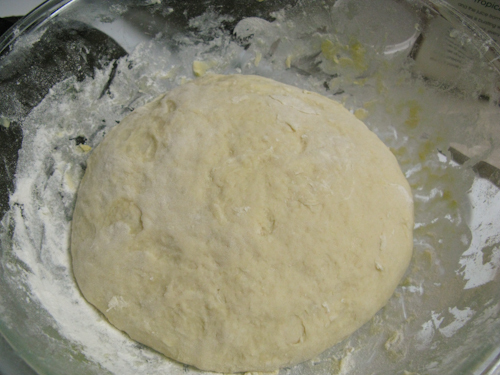 The dough can be frozen for use later. We ended up with extra dough and made some additional pirozhki with veggies and cheese and mixed berries with chocolate. Update: Upon further testing, the amount of dough this recipe makes would require twice as much filling as I have listed. What I’ve been doing is freezing half the dough and using it on later dates. 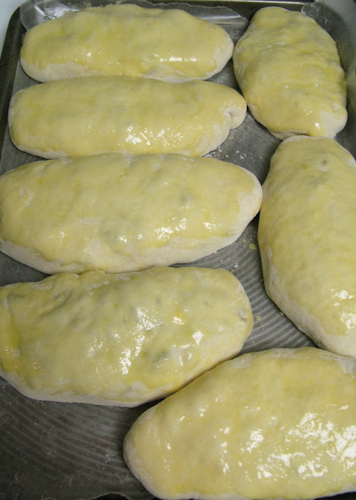 Just let the dough thaw overnight in the fridge before using. 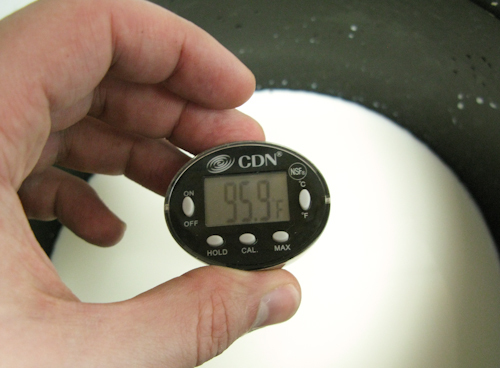 Warm the 2 cups of milk in a large pot to about 95 degrees Fahrenheit (lukewarm). 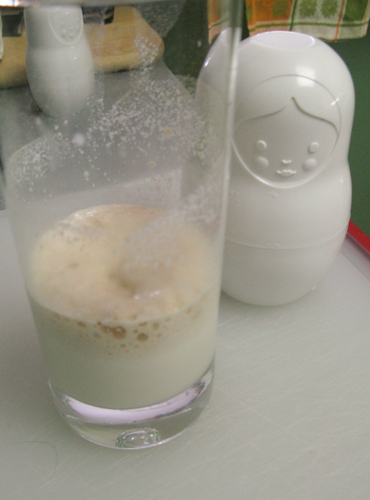 Combine 0.5 cup of the warm milk with a tablespoon of sugar and the packet of yeast, mix well. Let the mixture stand until it froths up. 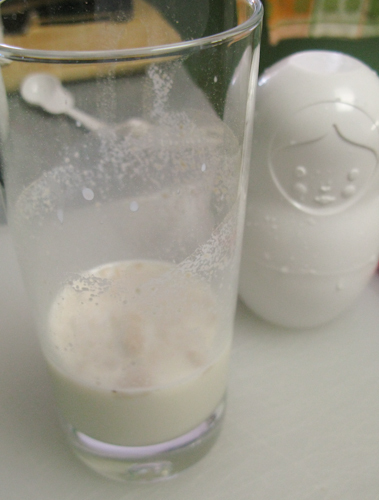 Pour this mixture into the remainder of the warm milk. Slowly add about 3 cups of the flour into the milk mixture, making sure to mix thoroughly. 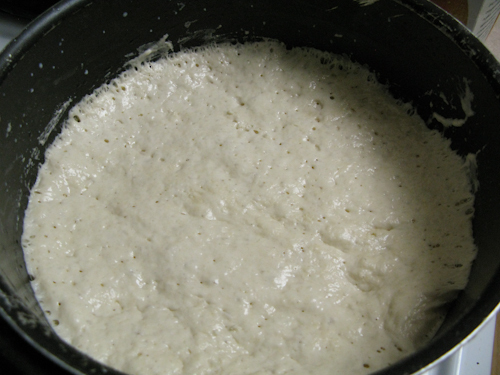 You’re looking for the consistency of pancake batter (the dough was thicker in the picture). 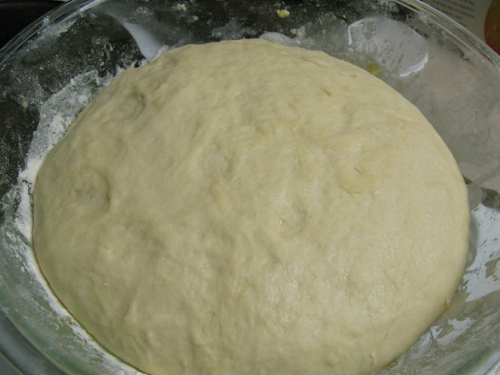 Let the dough rise for at least 4 hours, covered, at room temperature (better overnight). 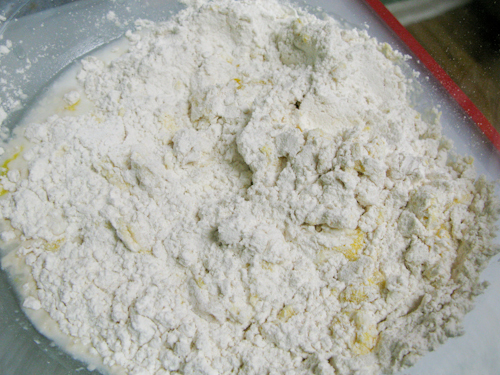 Combine the remainder of the ingredients, slowly mixing in the flour. 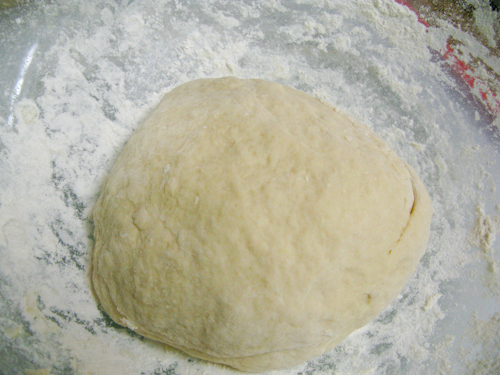 Knead gently while incorporating the flour to keep the dough light. 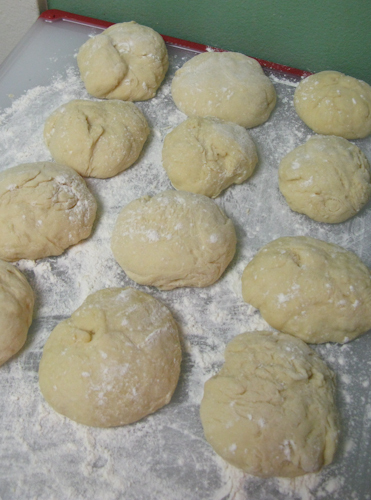 Add enough flour until the dough no longer sticks to your fingers. Let the dough rise for another 1-2 hours. Prepare the filling. 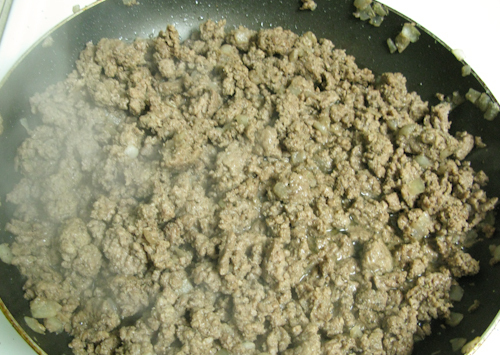 Brown the ground beef with onions until done, set aside. 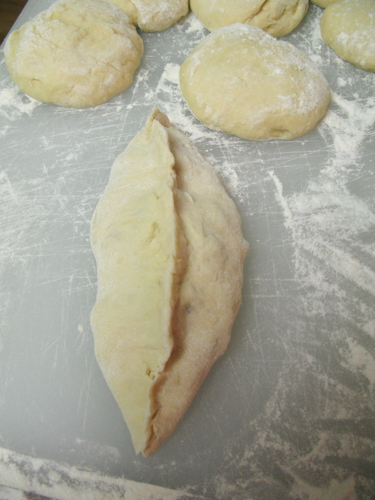 On a well-floured surface divide the dough into small balls (we divided into 2 inch diameter balls which made for pretty large pirozhki). Roll out the balls into thin ellipses. 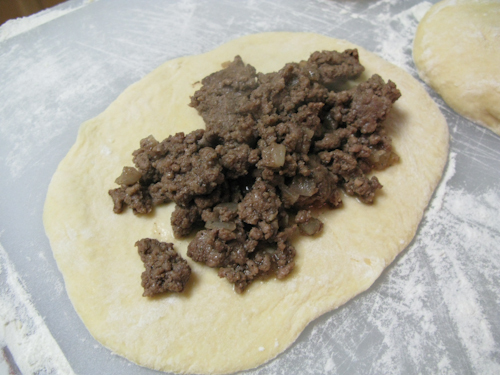 Spoon the filling into the center of the dough without getting any on the edges. 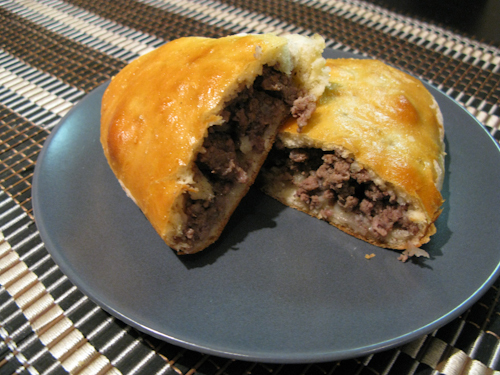 Close up the pirozhki by folding in the sides (starting from the middle) forming a seam down the middle. Bake in a 425 degree oven for approximately 15 minutes. Posted in: Beef, Meat Dishes, meat-less, Potatoes. The literal translation of “hvorost” is brushwood, due to the crunch they produce similar to dry wood. 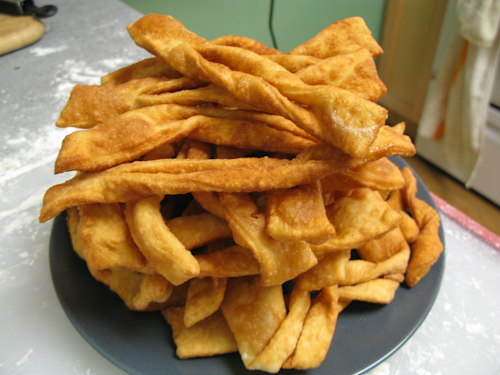 This is a traditional Ukrainian and Russian dessert that has been prepared for at least a few hundred years. 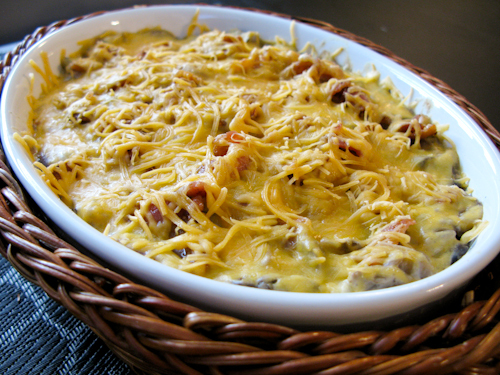 There are many variations, as with all other old recipes, including versions that are prepared with cheese or mashed potatoes. 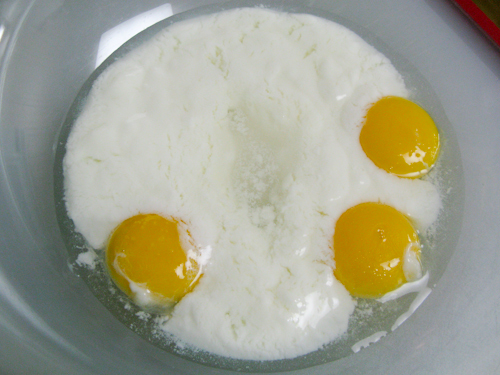 Combine the eggs, vodka, kefir, sugar, salt, and 2.5 cups flour. 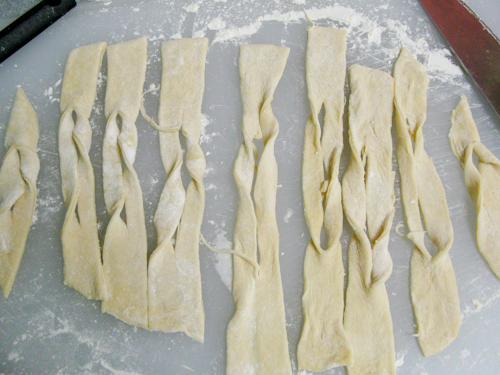 Mix and fold the dough, adding more flour as needed, until it no longer sticks to your hands. 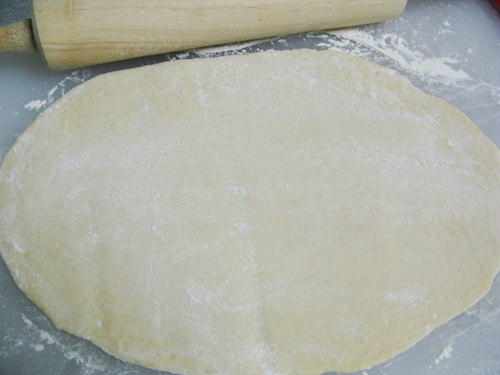 Quarter the dough, and roll out each piece on a well floured surface until it’s an eighth of an inch thick. 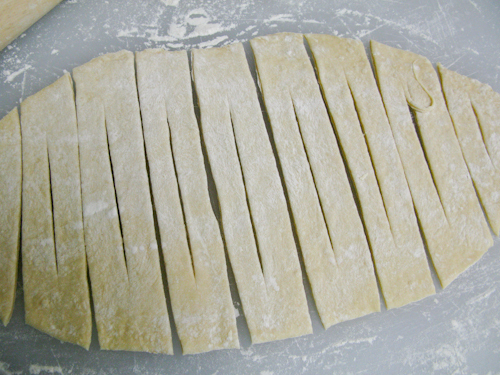 Slice the dough using a pizza cutter or a knife into approximately 1 inch wide strips, and cut a small slit in the middle of each strip. Take one of the ends of each strip and pull through the slit, partly inverting the strips. This is for decorative purposes; feel free to form them into any other creative shape. Heat sufficient oil in a pan to submerge the pastries (3 inches). We had the temperature at approximately 320 degrees. 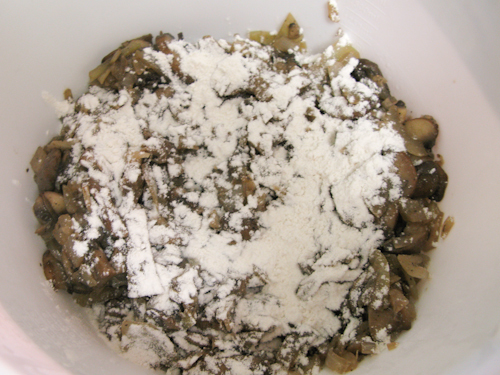 Drop only a few strips of hvorost at a time, they will expand in the oil. Cook for a few minutes, making sure they are evenly cooked on each side. 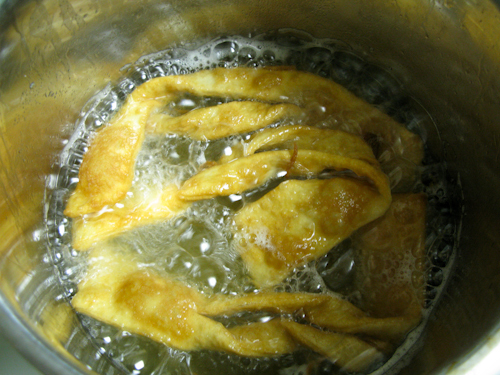 When they are golden brown, carefully remove from oil and stack on a large plate. The pastries themselves aren’t that sweet, therefore a lot of the sweetness will come from how you top them. 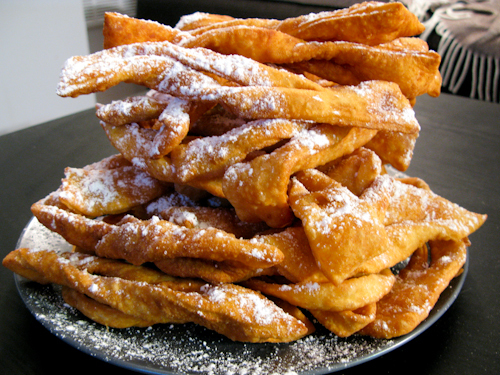 Powder the hvorost with sugar and serve. Alternatively use honey or any kind of syrup. Posted in: Dairy, dessert, Holiday, meat-less. 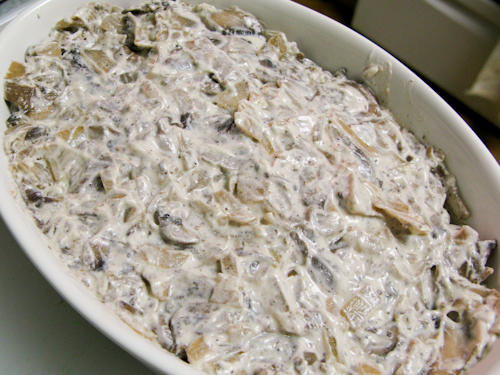 This one is another Russian favorite for special occasions, and conveniently very easy to make (it looks good too). The recipe presented here is the most elementary one, and there are quite a few variations out there. So feel free to be creative. 1 lb portabella mushrooms (wild mushrooms are better). 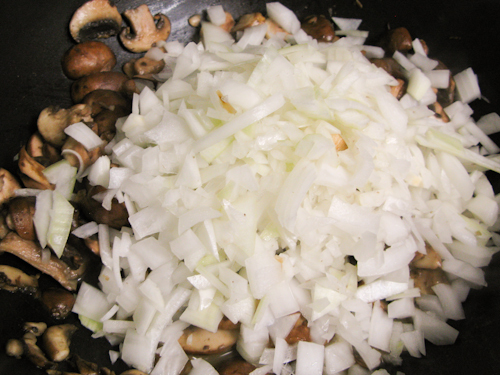 Start by chopping up the mushrooms and onions. Wild mushrooms would have been used in Russia, which you can actually find canned in ethnic stores. If none are available, baby bella mushrooms will suffice. 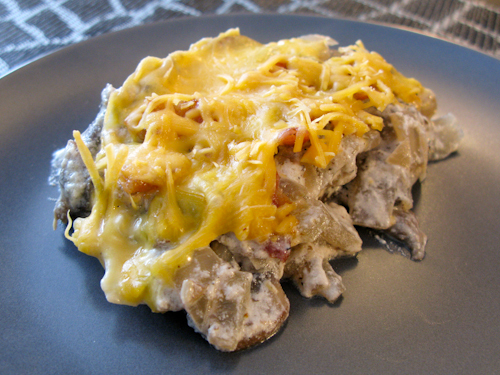 Melt the butter in a skillet and toss in the mushrooms. 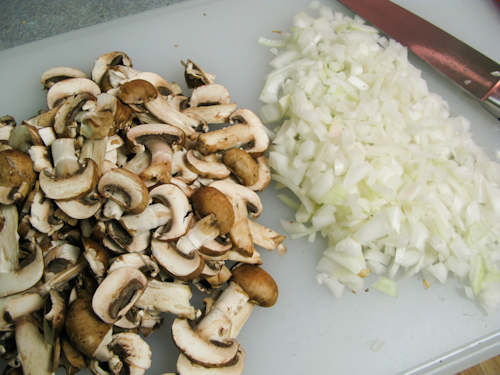 Cook the mushrooms on medium-high heat for a few minutes and add the onion, salt, and pepper. 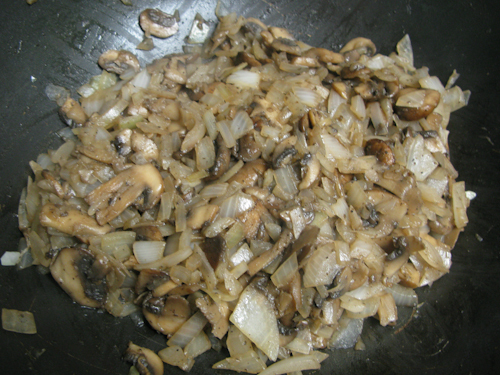 Keep cooking on medium-high heat until the onions have caramelized and mushrooms are tender. 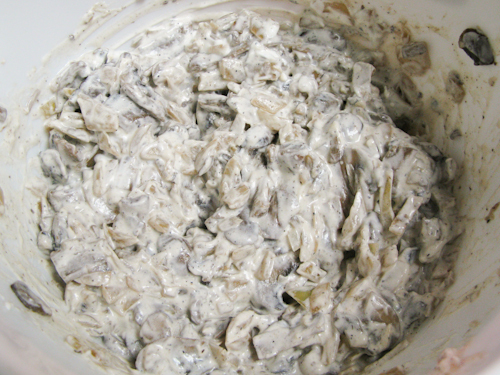 Sprinkle with a flour and mix in the sour cream. Transfer the mixture into any oven safe dish or a ramekin. 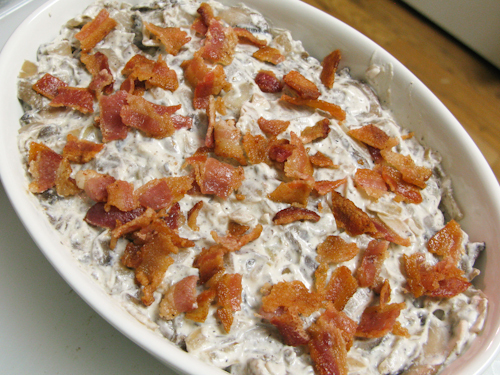 Sprinkle the mushrooms with coarse junks of bacon and top of a layer of shredded cheese. 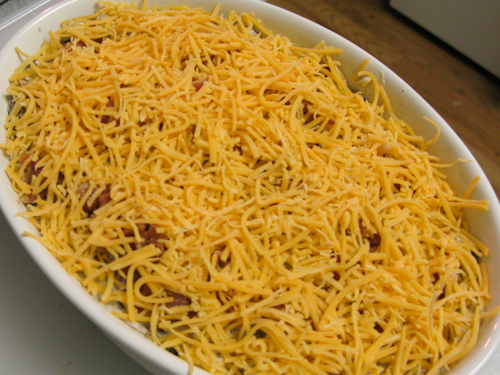 Bake in a 350 degree oven to 10-15 minutes or until the cheese on top has melted. Posted in: appetizer, Beef, Chicken, Dairy, Holiday, Meat Dishes, meat-less, Pork.